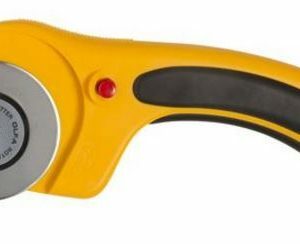 The Deluxe Rotary Cutter can accommodate decorative edged blades. 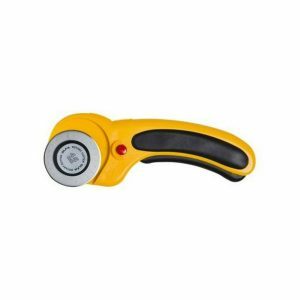 Ergonomic design for powerful cutting and less hand fatigue, this features a dual-action safety mechanism. Accommodates both right and left handed users. 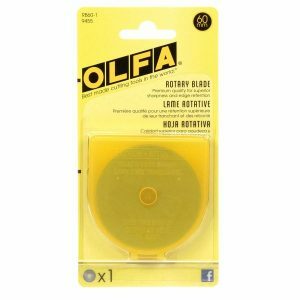 Olfa Rotary Blades are made of high-quality stainless steel to which a unique sharpening process is applied. 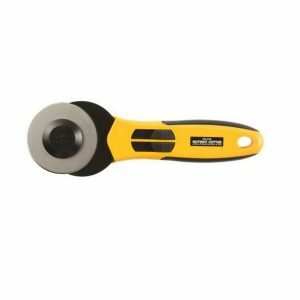 Rotary Blades perfect for cutting strips and multiple layers at once. 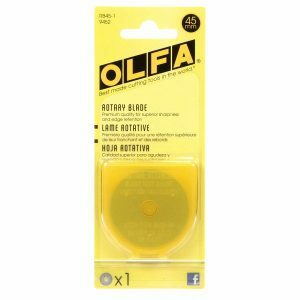 Cuts fabric, paper, tarp, vinyl, upholstery and more. 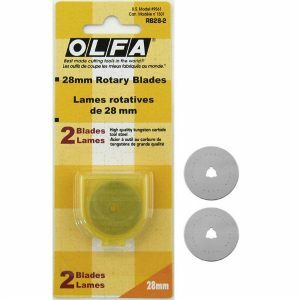 For use only with the Olfa 45 mm Ergonomic Rotary Cutter (sold separately, CODE: 2032-45). 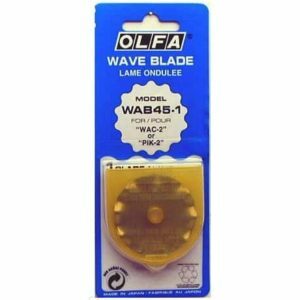 45 mm Wave – popular among people making crafts such as memory books and scrapbooks. 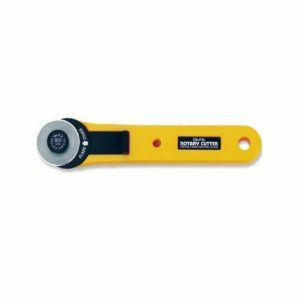 This ratchet rotary compass cutter makes it easy to cut a perfect circle of fabric. 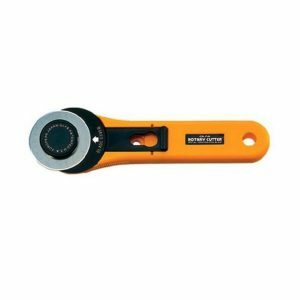 For circles 4cm to 22cm (1 & 7/8″ to 8 & 1/2″) in diameter. 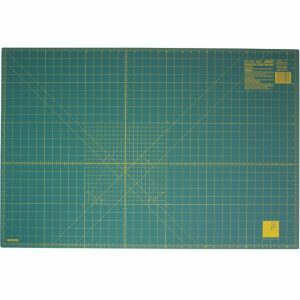 This is a popular medium size 60 x 45 cm self-healing long lasting professional quality rotary mat with both Imperial and Metric markings. 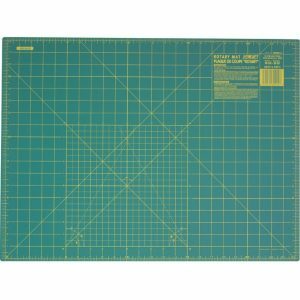 Best selling and most popular larger size 90 x 60 cm is the perfect size for quilting. 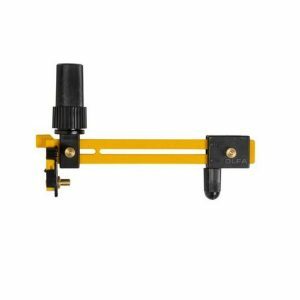 Self-healing long lasting professional quality rotary mat both Imperial and Metric markings.